The Stoneleaf Classic – a perfect remedy! 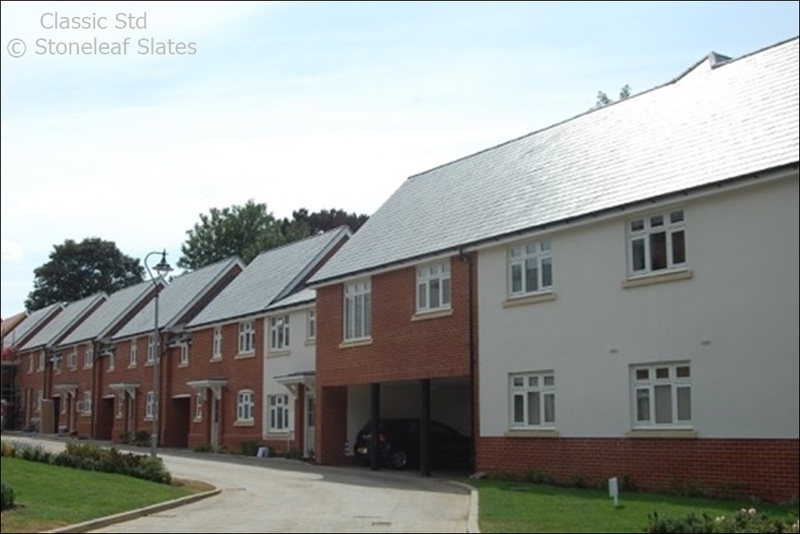 When the former home of St Johns hospital was purchased by Inland Homes Plc in 2011, there was a requirement to make sure the new development respected the historical value of the site. After the 173 year old hospital was closed down in 2010 Inland Homes, together with development partner Linden Homes, ensured the new build apartments and housing were constructed in a sympathetic manner, even creating a new apartment block using some of the materials and in the same style as the maternity building, which previously occupied the site. The Stoneleaf Classic natural slate was the perfect remedy to blend the new with the old, with its slightly textured appearance which added character and charm. When the architects at the Harris Partnership, Manchester, were designing the new Aldi supermarket store for the historic market town of Knutsford, they knew natural slate would be a fitting covering to match to the existing 17th and 18th century listed buildings on the high street. They therefore contacted Stoneleaf Slates for technical assistance on the roofing of a low 23 degree pitch which forms a large part of the roofscape. The Stoneleaf Celtic Grey was selected to not only provide a traditional looking finish but also due to the flexibility from the quarry to produce the 500×300 slates at the right headlap required for the low pitch, to ensure a watertight roof was installed. 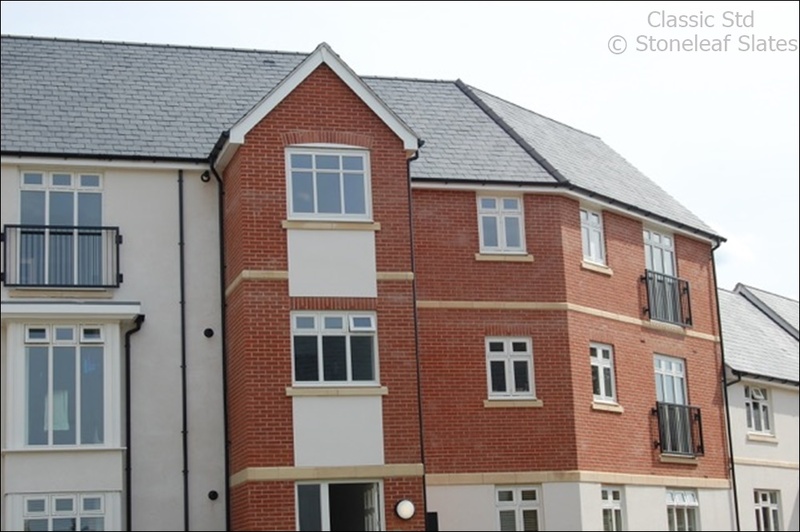 Complete Roofing Systems were appointed as the roofing contractor and were happy working with the Celtic Grey slates. In speaking with both the site manager and the new store manager for Aldi, it seems this is another successful installation of Stoneleaf roofing slates. With Spanish slates accounting for the largest percentage of the natural slate market in the UK, what does the recent currency changes spell for roofing contractors and builders? Since the start of 2013 there has been a considerable drop in the performance of the pound against the euro and this week it fell to its lowest level in 16 months at 1.148 euros. Source: BBC Market Data and Digital Look. The pound has fallen around 7% since the beginning of January due to the worsening outlook for the UK economy and the loss of the AAA credit rating, and unfortunately for UK companies it looks set to continue. The cost of imported products has increased by 8% since the start of 2013 due to the currency change. With the uncertain outlook for the future, we would advise any roofing and building contractors not to fix prices for a long term as the market prices will have to increase to reflect the currency rate.